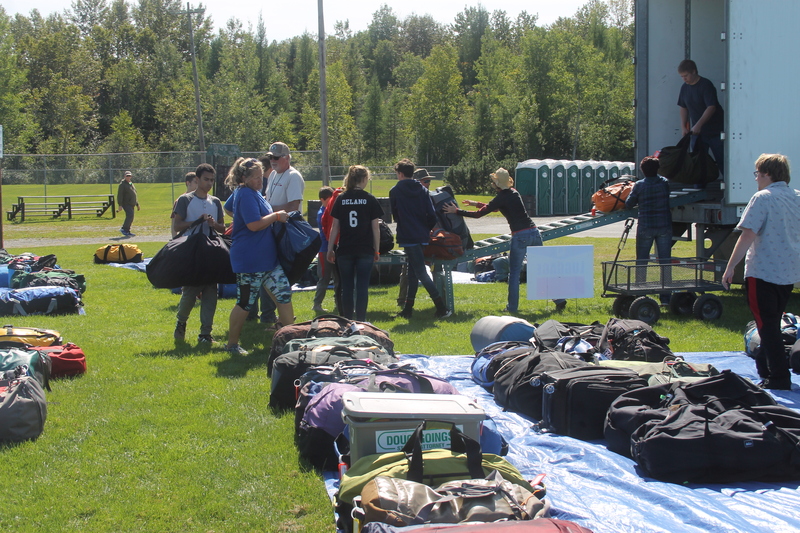 Acts of comradery and fellowship spanned the field at the multipurpose complex in Madawaska Monday afternoon, as volunteers and staffers from BikeMaine helped one another set up tents and locate luggage while making new friendships. MADAWASKA, Maine — Acts of comradery and fellowship spanned the field at the multipurpose complex in Madawaska Monday afternoon, as volunteers and staffers from BikeMaine helped one another set up tents and locate luggage while making new friendships. 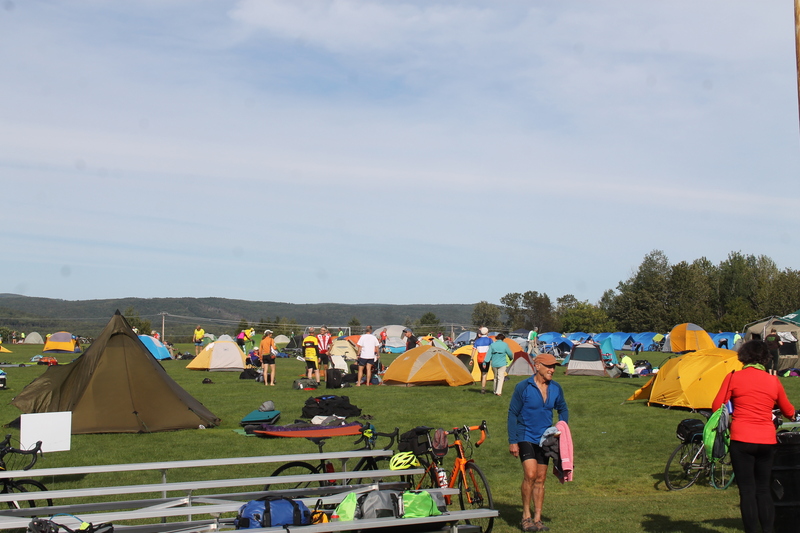 Hundreds of tents span an open field outside of the multipurpose center in Madawaska Monday afternoon where cyclists participating in BikeMaine get to rest following a roughly 50 mile ride from Caribou. Some 450 BikeMaine tour participants trickled into town over the span of about five hours Monday after cycling here from Caribou and made their way up to the tent city in the field off 7th Avenue. Prior to their arrival, volunteers from all around helped set up the area for the event. The bicyclists are on a 325-mile ride through Aroostook County, which started in Presque Isle on Sunday. The seven-day tour will take them through the St. John Valley to Allagash and back to Presque Isle. Following a night in Caribou on Sunday, the participants were to enjoy a couple of nights and layover day Tuesday in Madawaska before hitting the trail again Wednesday. 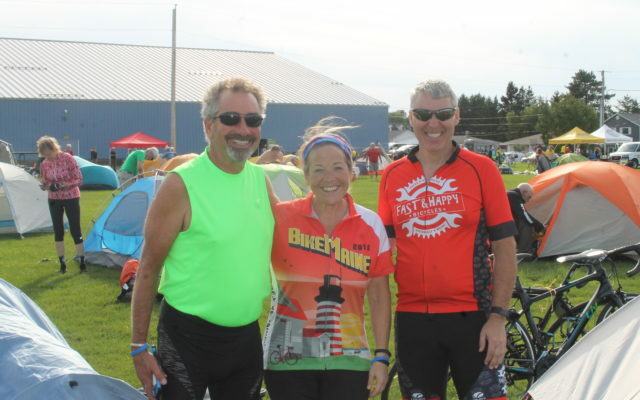 They will bike to Fort Kent Wednesday, to Allagash and back to Fort Kent Thursday, to St. Agatha on Friday, and finally, back to Presque Isle on Saturday. Among the volunteers in Madawaska Monday were two groups of students, including one from the Katahdin Learning Project in Stacyville that is travelling with the organizers, volunteers, and participants throughout the to help set up tents and organize luggage for some of the riders. The second group of students — affiliated with the Madawaska High School Project Graduation — collaborated their volunteer efforts with the Katahdin group and helped set up tents, organized luggage, and took charge of the cell phone charging station. While the students were all volunteers, BikeMaine contributes to each group. “They are getting to experience team building with Katahdin area students and what a non-profit can do for an area,” Suzie Paradis, economic development director for the town of Madawaska, said Monday afternoon. Second year event coordinator for BikeMaine, Will Elting, explained how the tour works and what is included. The riders pay their entry fee and are taken care of all along the way, including food, water, luggage porting service, and some even opt to pay more to have their tent set up for them at each site. 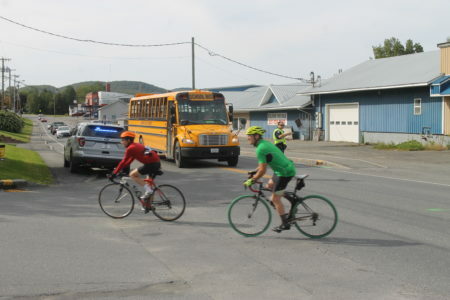 Officer Ryan Albert helps direct traffic to keep riders participating in a BikeMaine tour safe as they turn off of Main Street and head toward their campsite on Monday. Each year, full-time staff from BikeMaine meet up to look for communities with “vibrant downtown areas” to which people can either bike or walk. Another reason Elting said the organization chose the St. John Valley as a destination this year was because of its proximity to Canada. “We strongly encouraged people to bring their passports so people can have a two-nation vacation,” Elting said. Among the activities available to participants on Tuesday, for instance, were bus trips to the Botanical Gardens in Edmundston, New Brunswick, and the falls in Grand Falls, N.B. On Monday, staff member Pamela Fischer commended the volunteers and student organizations for their involvement. High school senior Ian Toussaint volunteered his time along with his classmates as part of their project graduation fundraising effort and said the event and work turned out to be bigger than he imagined. Toussaint also said he was happy to help because the event “seems like a once in a lifetime” opportunity. As the final few cyclists made their way up the hill on 1st Avenue, many sounded discouraged with their grunts as they made the climb, while others welcomed the challenge with battle cries. Once at the end of the ride, the participants got to complete setting up tents and settle in for a rest before hitting the showers and possibly heading into town to visit shops and restaurants or check out some of the planned activities. One particular trio stood out in the middle of the field crowded with tents and bikes. Michael Bryant, Sue Cheff, and David Letze helped one another set up their tents in a tight triangle. The trio seemed to have been friends for years, however, the three riders from different towns indicated they had just met the day before. “Between the food and the roads, all the riders are friendly,” said Letze as the other two nodded heads in agreement. “The best part of this whole experience was meeting these two people to ride with,” Bryant said motioning to his newfound friends. The host communities also are planning numerous activities and events to welcome the visitors, get them to explore the area, and entice them to return in the future. Students from the Katahdin Learning Project in Stacyville and Madawaska High School work together to assist BikeMaine staffers organize luggage to make it easier for tour participants to find their belongings. In Madawaska, for instance, organizers are offering among other activities, ATV/four-wheeler rides, a tour of the Twin Rivers paper mill, and pontoon rides on Long Lake. Local restaurants and businesses also are offering specials and entertainment. In Fort Kent, the cyclists will be set up in a tent village at Riverside Park on Wednesday and Thursday nights. 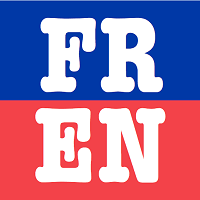 While in that area, they will have an opportunity to tour the University of Maine at Fort Kent Acadian Archives, the Fort Kent Historical Society museums, and the Fort Kent Outdoor Center; take guided local walking tours through town or up Lonesome Pine Trails ski hill, or visit the First Mile Brewery on Market Street. Other activities and events, including games and entertainment also are planned there. On Sept. 13, the bicyclists will travel to Allagash and back along Route 161, although there will be a shorter, alternate ride that day into New Brunswick and around Lac-Baker for those who prefer that route. BikeMaine and the Maine Outdoor Film Festival will offer a free film festival to the bicyclists as well as to members of the public on Thursday, Sept. 13, beginning at 8 p.m. at the Lions Pavilion at Riverside Park. Fort Kent Police Chief Tom Pelletier said his department is prepared to handle the influx of bicyclists. “We are going to have extra officers on duty to help with the flow of things and ensure the bicyclists have a safe and pleasurable experience while on the northern Maine roads,” Pelletier said. On Sept. 14, the cyclists will ride over to St. Agatha, where they will stay at the Lakeview Campground. While there, the bicyclists will have the opportunity to enjoy ATV rides to scenic Long Lake, as well as take boat rides on Long Lake. They also will be offered tours of Pineland Farms, and will be served a lobster dinner on Saturday. Then on Sept. 15 they will depart for Presque Isle on the final leg of their adventure. The Bicycle Coalition of Maine, a nonprofit membership organization with more than 5,000 members, sponsors the BikeMaine event annually. Last year’s event, which took place in Somerset County, brought in $660,000 to its host communities, according to the BikeMaine website. For more information about BikeMaine and this year’s route, visithttp://ride.bikemaine.org/. Fiddlehead Focus writer Jessica Potila contributed to this report.